Reuters – It was fun while it lasted: the easy money from Twitter sentiment trading appears to have been already gathered. 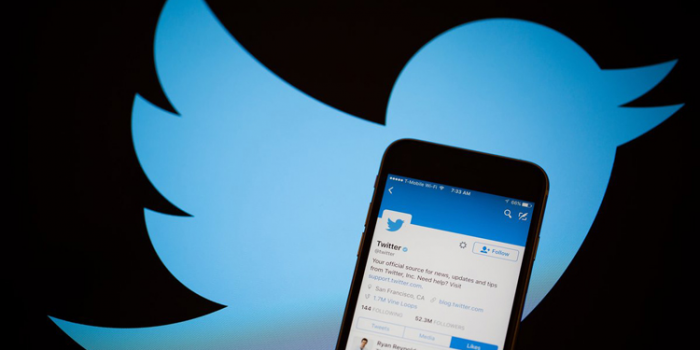 While it is still true, according to a new study, that tweets can be used to predict contemporaneous and future stock market movements, the effect is weakening. The upshot: investors have figured out Twitter’s predictive value and are arbitraging the opportunity away. Several studies over the past few years have shown that measures of sentiment contained in tweets can be predictive for financial markets, notably a paper this year which showed that tweets on Fed monetary policy meetings can be profitably used. The basic idea: take tweets, score them for sentiment, machine read and presto, you’ve got your buy or sell signal. The latest paper, released in August by Jim Kyung-Soo Liew and Tamás Budavári of Johns Hopkins, does demonstrate interesting indications of a so-called Granger causality, a statistical measure that one data series is predicting another, between tweet sentiment and market moves. “We report statistically significant evidence that the market returns Granger-cause next day's sentiment movements. Moreover, in the most recent period of 2015, our rolling analysis shows significant evidence that the tweet sentiments actually Granger-caused the market to move!,” the authors write. That’s great news, but perhaps more for science than for investors. As the study went on and as investors got wise to the phenomenon, the effect diminished. “Our results support the notion of a highly efficient market that has rapidly digested and processed such tweets sentiment data,” according to the study. The authors, in an earlier paper, even went so far as to posit that social media should be added as a “Sixth Factor” to the original five posited by Fama and French as driving stock returns. The study looked at tweets on the StockTwits social media investment platform and then used a variety of approaches to sentiment scoring them from bearish to bullish, and was limited to tweets that were about the S&P 500 or a trading derivative of the index. There was genuine predictive value, according to the study. During 2015 there was a bit of a self-fulfilling cycle happening, with market returns driving sentiment, which in turn went on to drive market returns, albeit only for brief periods. They note that, in only looking at tweets about a broad index, the results indicate that there could be valuable signals from tweets about specific companies. Really what is described here is amazing. In about half a decade a huge and deep new data source was first developed, then analyzed and then the results of this analysis were arbitraged away by clued-in traders. To be sure, it would be foolish to bet against human ingenuity, and wrong to conclude that sentiment scoring can’t be profitable. Still, this is an instructive example of how technology works, both in the economy and in relationship to investment. In subtle ways it illustrates how easy it is to assign a high capital value to a new technology, or in this case to a new use of a technology, only to see that value diminished greatly as the technology spreads and is employed by more people. This phenomenon seems to be something which is happening faster now than in the past. Think of the advantage that traders got from first the carrier pigeon and then the cable. Both of those retained the bulk of their advantage for longer, being slower to spread, than current versions of similar advantages like tweet sentiment scoring. When things are digitized and processing power is so cheap, all of these kinds of advantages will tend to have a shorter life. William Gibson’s observation “The future is already here – it's just not evenly distributed” is true, but the lag in distribution is getting shorter all the time. This argues for placing a lower capital value on a given advantage as the pace of change quickens. That’s a lesson investors in new technology would do well to note.